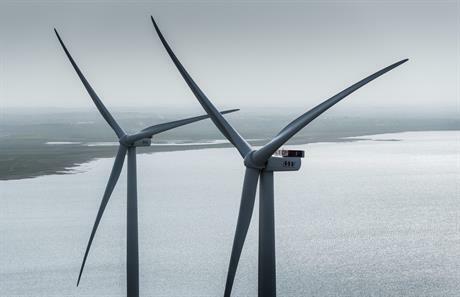 DENMARK: Offshore wind turbine manufacturer MHI Vestas has appointed Tetsushi Mizuno as its new co-CEO, replacing Jin Kato, to work alongside Jens Tommerup. Kato will remain as a special adviser to the joint venture (JV) for the next six months, before moving back to parent company Mitsubishi Heavy Industry (MHI). Mizunio was previously general manager of Mitsubishi Hitachi Power Systems, based in Japan. He has been a part of MHI since 1986, MHI Vestas said. He also played a role in forming the JV in 2014. When MHI Vestas was formed in April 2014, both participating companies put forward an executive to work together leading the new manufacturer. Jin Kato was Mitsubishi Heavy Industry's (MHI) representative and has been working with Vestas' Tommerup since, expanding the company and developing the V164 8MW turbine. "Throughout my career I have worked with growing industries and I look forward to helping MHI Vestas to continue to drive the offshore industry to become a fully mature industry," Mizuno said following his appointment. Earlier this week, the offshore JV announced it would add 70 new jobs at its Isle of Wight blade facility as it continues to ramp-up production. In June, the firm announced it would also increase prodction from its site in Nakskov, Denmark to meet demand. "We look forward to the, hopefully imminent, announcement of the 2016/17 [contracts for difference] auction, which will enable us to continue to bring value to the UK as ever more cost competitive projects are built out from the early 2020s." Tommerup said. The company said it was "on track" to invest £200 million and provide 800 jobs in the UK economy as part of its industrial strategy.